The throat can be one of the more sensuous zones of the body, so we’ve risen to the occasion. 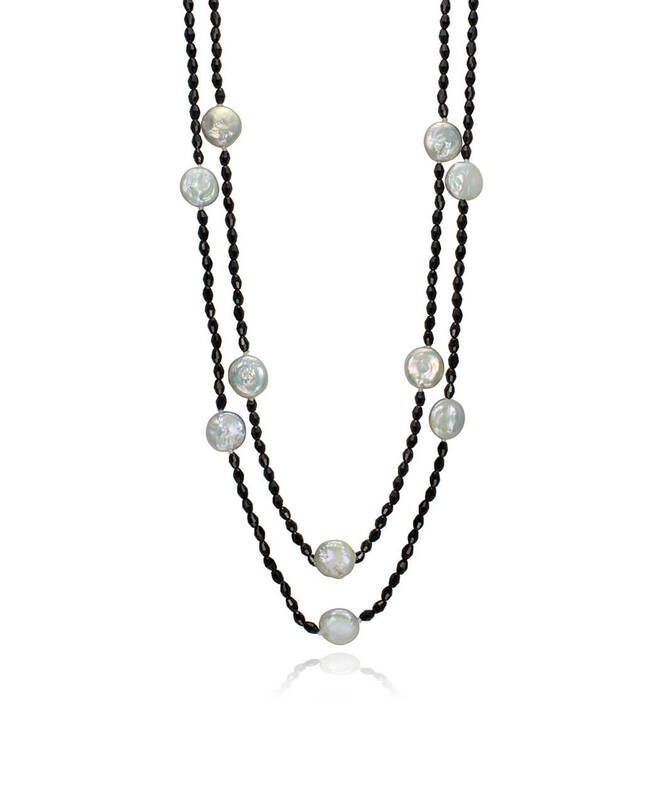 All of our necklaces are meant to bring more focus to the collar bone, especially when looped together or paired with another for added interest. 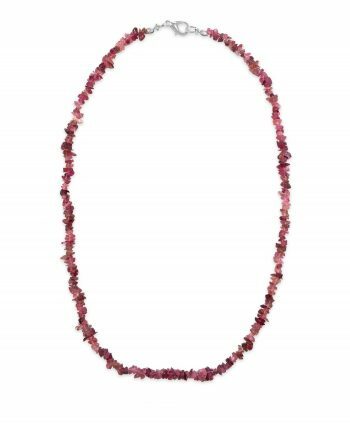 We’ve chosen pieces for every personality, from the spiritual bohemian to the polished city girl, we’ve got you covered. Perfect for every summer outfit. 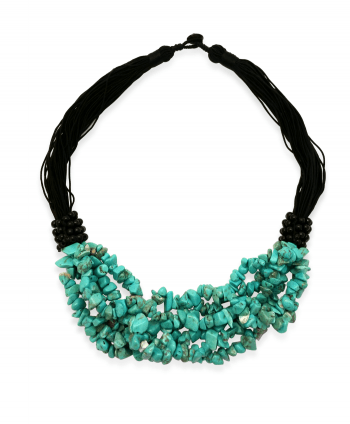 This vibrant necklace features 6 rows of turquonite chips combined with?layers of contrasting black thread, creating a?bold and fashionable statement piece. Materials:?Turquonite chips and Black Thread. 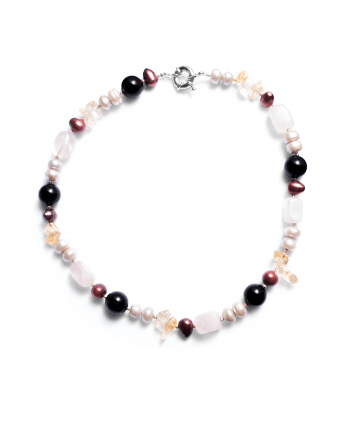 This necklace is made from genuine coin pearls and faceted lucite beads. 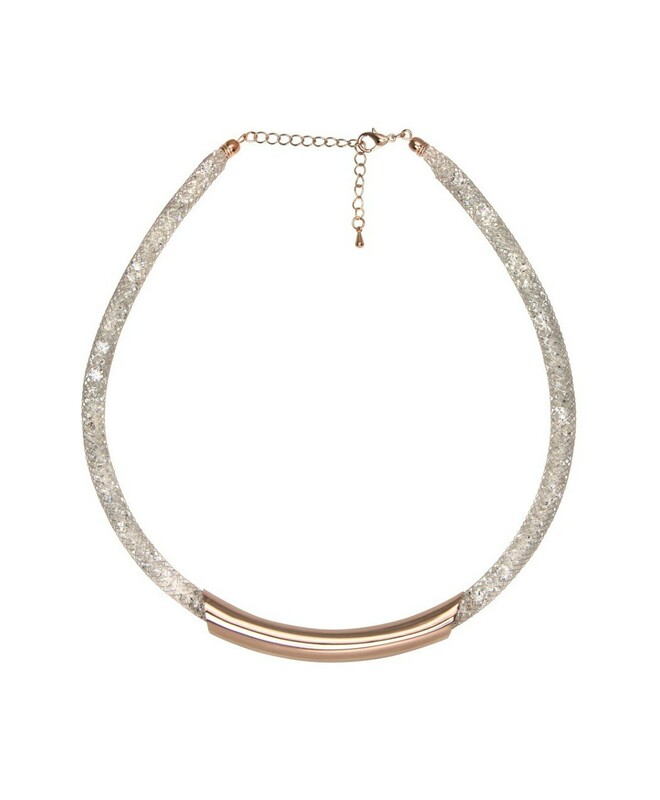 Wear it as a full length necklace or layer it with other jewellery items for a more clustered look. 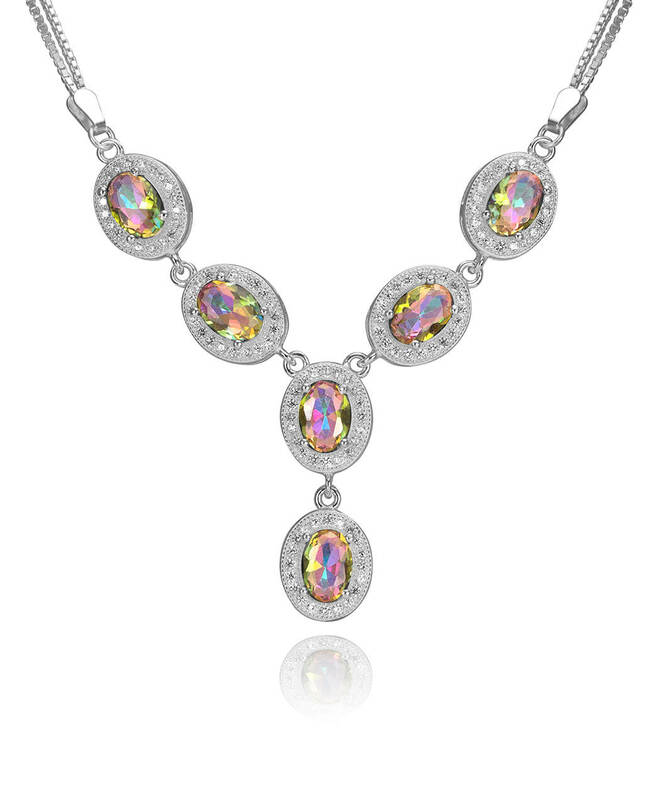 This mystic topaz necklace is crafted of 6 stunning oval mystic topaz gems each enclosed in a sparking frame of mirco pav? cubic zirconia. 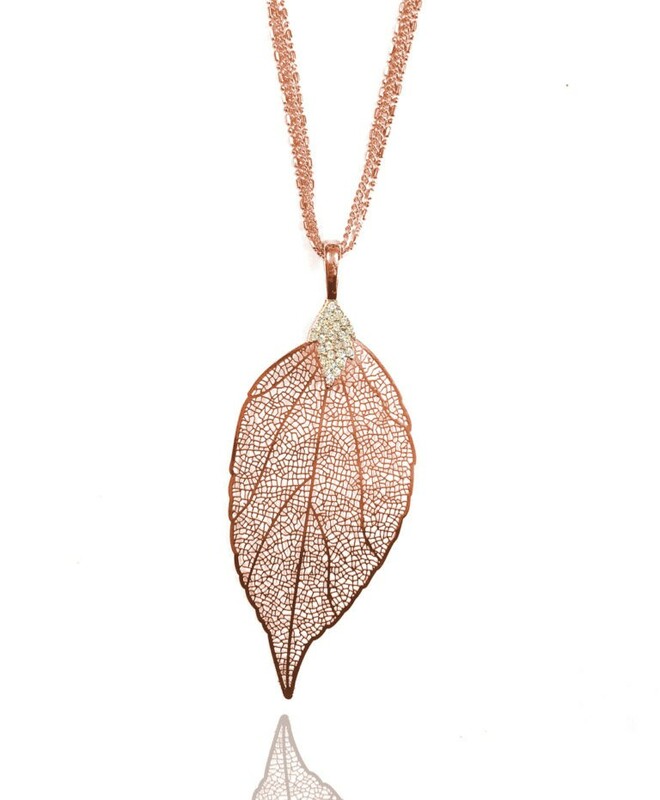 A finishing touch to hang any oxidized pendant or charm on! 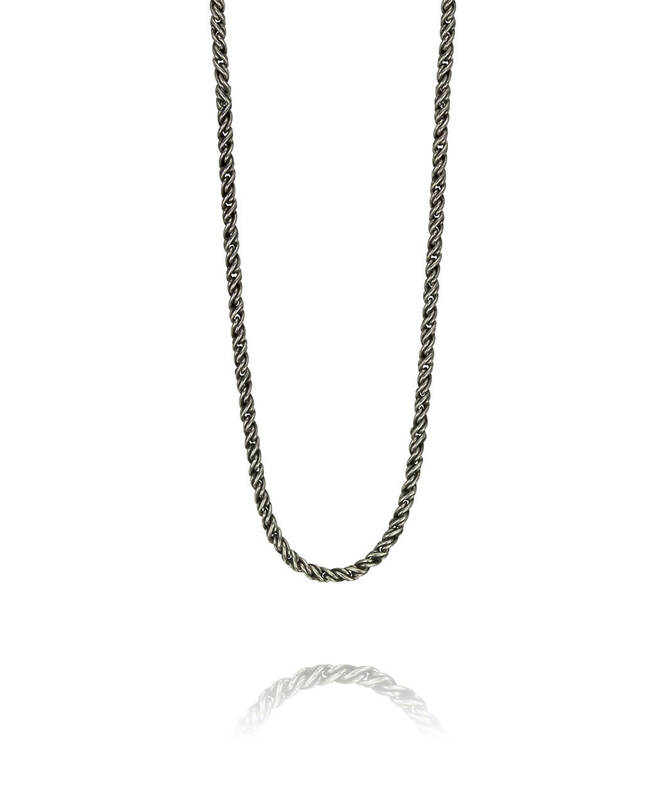 Made from sterling silver, this Oxidized Pikun Chain showcases a braided oxidized look. 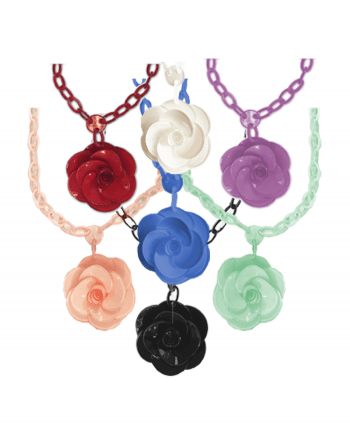 Offered in various lengths – find your best fit!